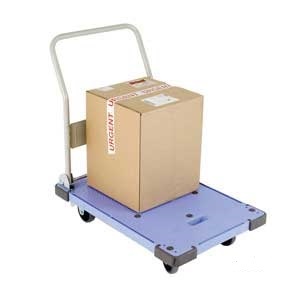 Silentmaster platform trolleys with reduced rolling resistance and enhanced mobility. 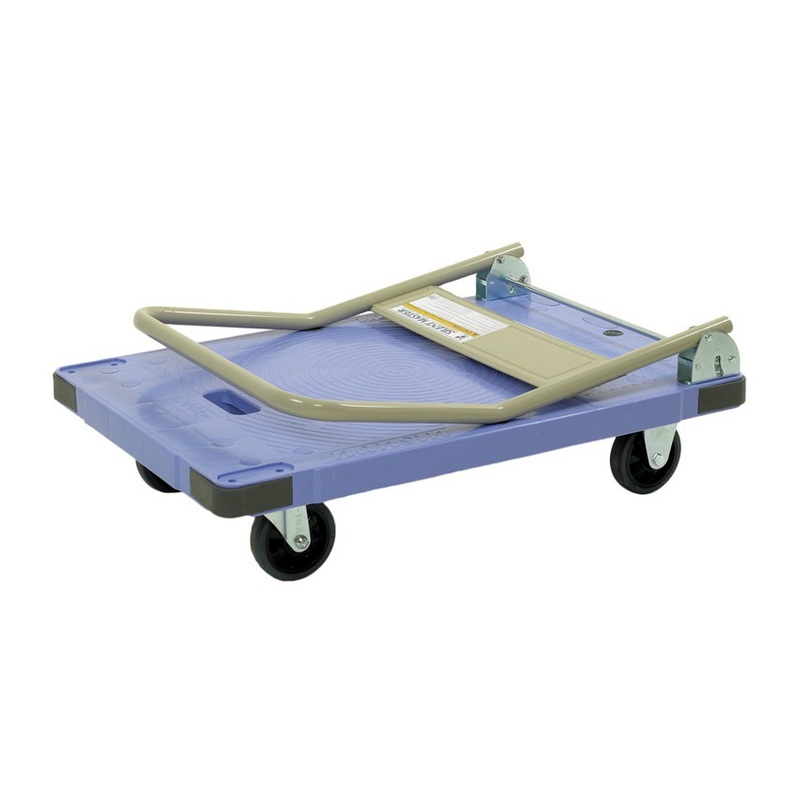 Ideal for warehouses, workshops, stockrooms and many more environments platform trolleys provide the operator with a simple, efficient way of transporting multiple items at the same time. These trolleys not only speed up the process of relocating valuable tools and equipment, but they also dramatically reduce the chance of injuries caused by repetitive, strenuous tasks. These Silentmaster plastic platform trolleys are designed to be as quiet as possible whilst still easily fulfilling their primary purpose. These platform trolleys consist of several parts, the platform is constructed from injection moulded plastic, this durable plastic provides a robust base capable of supporting loads of up to 300kg (depending on model chosen). 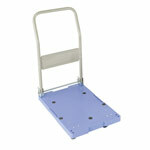 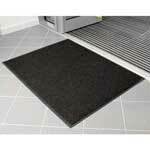 The platform is also fitted with slip-resistant discs to aid load retention. 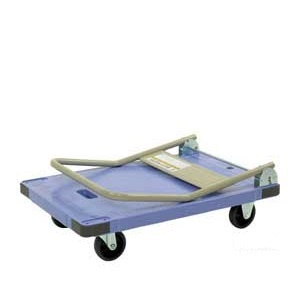 Both trolleys are fitted with two fixed and two swivel silent castors, these super smooth, non-marking castors not only reduce rolling resistance, improve mobility and enhance manoeuvrability, but they also reduce the amount of effort required to move a fully loaded trolley by up to 30% when compared to conventional castors. Finally, both platform trolleys are fitted with a powder coated folding handle, these handle when mounted to the platform stand at a comfortable height of 920mm (E360650) and 980mm (E360655). Where the two trolleys differ is that the heavy duty E360655, is not only larger but it's also fitted with corner buffers and a recessed carry handles for easy transportation.